Since 1999, Classic Army has been developing and producing high quality airsoft products for the entire world to enjoy. 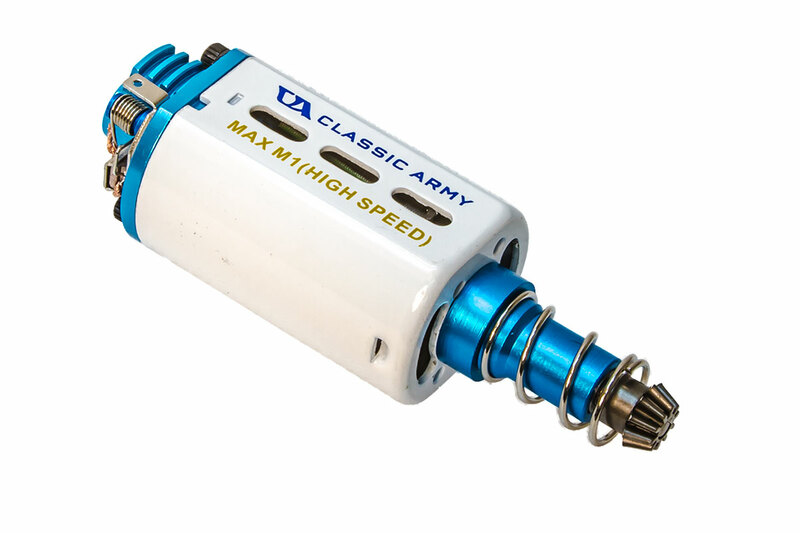 Classic Army internal parts are no exception, the Max M1 motor is built to last and push the limits of your airsoft gun. Boost the rate of fire with the Max M1 motor paired with a lower power spring. The CNC housing is precision produced to have no harming interference with the function of the motor. The motor utilizes high resistant neo magnets known for being one of the most rare powerful magnets in the world. This allows for smooth pinion rotation with extreme strength to power a gearbox. got this for my scarab, this is super good for the price. so much better than the stock scarab motor (got it in 2017) . the end bell is cnc, the magnet is pretty strong. my trigger response got even better with this motor, ecs help it tho.